Novelty Techpoint by Novelty Group presents a Bl development at New Industrial Road . Novelty Techpoint s is a new Freehold Strata B1 industrial property that is unique in this region by due to new legislating of land use to a shorter leasehold. Located at the suburban district 19 of a matured estate, supported with instant established public base, such as a easy walk of 5 min to bus stops or around 15min walk to Bartley MRT station. Novelty Techpoint provides business and leisure time all under one roof. Social networking events or accomplishing a sound lifestyle has never been simpler. 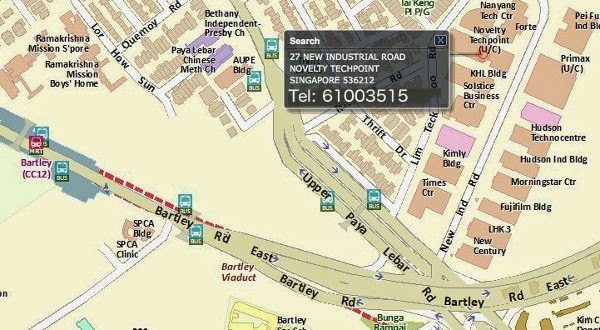 Novelty Techpoint is conveniently accessible to a extensive selection of tavelling infrastructure, such as the nearby KPE and PIE.